Present to you the first issue of the "Herald of Civil Procedure"
Glad to bring to your attention the first issue of the journal "Herald of the Civil Process" in 2019. The article is continued by the article of Doctor of Law, Professor of the Russian State University of Justice MA. Fokina on the topic “Evidentiary Law in the Civil Process: Unrealized Opportunities”. It notes that in any procedural evidence there are identical elements, and the criterion that allows us to speak about the unity of the legal regulation of evidence and evidence in the civil process is the unity of cognitive processes. The idea of ​​unity of the mechanism of evidence is supported by the fact that the structure of the mechanism of evidence in civil and administrative cases is identical. The article examines the trends of evidentiary law in the context of the priorities of modern procedural policy, as well as provides ideas for improving the institute of evidence. Then follows the work of Dr. V.N. Koval on the topic "Evidentiary Law in the Arbitration Process: Problems and Features." It is noteworthy that in the article the author highlights some problematic issues arising in the process of consideration of cases by arbitration courts in the territory of the Republic of Crimea and the city of Sevastopol, related to proving the circumstances that occurred before the Republic of Crimea joined the Russian Federation and the formation of new subjects of the Russian Federation. The author also raises the issue of prejudicial judicial acts adopted by courts operating in the territory of the Republic of Crimea and the city of Sevastopol until March 18, 2014, when considering disputes by arbitration courts of the Republic of Crimea and the city of federal significance of Sevastopol. An interesting article is also on the topic “European legal standards of evidence and assessment of evidence,” authored by the head of the legal department of PJSC «Nizhnekamskneftekhim», a member of the Association for the Improvement of Life and Education (ABLE) A.R. Sultans. The author reveals how the influence of European legal standards on the development of procedural legislation, and argues that this phenomenon takes place in the judiciary, despite the fact that it is the most conservative branch of government. According to the author, the approaches and legal positions of the European Court of Human Rights to the perception of fairness of court proceedings are usually not in doubt, however, when it comes to interpreting national substantive law, different situations are possible. The article cites various examples from resolutions of the Plenum of the Supreme Court of the Russian Federation, judicial practice, opinions of researchers. The work of one more representative of the judiciary of Russia, the Chairman of the Arbitration Court of the Republic of Adygea I.M. Divina on the topic "Disclosure of evidence and agreement on the circumstances of the case as an active form of the implementation of the principle of competition in the civil process." The article discusses the evidence and agreement on the circumstances of the case through the prism of the principle of competition, as well as the values ​​of the active behavior of the parties in the civil process. At the same time, their evidentiary knowledge is characterized when sent by the court of justice. The author analyzes the meaning of the terms used in this area of ​​the civil process, the meaning of the principles of competition and equality of the parties, the legal nature and nature of the possible consequences, and also gives statements different scientists in the field of civil procedure on this topic. them. I.N. Ulyanova N.A. Artebyakinoy. This issue continues with the traditional section “Foreign Civil Procedure”, the title of which is the work of Doctor of Law, Professor of the Department of Civil Procedure of the Moscow State University. Mv Lomonosova E.V. Kudryavtseva on the topic "Disclosure of evidence in the Russian and English civil procedure." The article is devoted to the institution of disclosure of evidence. In connection with the reform of civil and arbitration procedural legislation, a short story of Art. 56 Code of Civil Procedure of the Russian Federation on the introduction of the disclosure of evidence in a civil procedure. The author analyzes the opinions of scientists about the purpose of disclosing evidence in the arbitration process in Russia and England. The focus of the article is on disclosing evidence in England. In addition, this section contains articles by representatives of Moscow and Voronezh law schools - Candidate of Law, associate professor of the Russian State University of Justice A.V. Argunova and Doctor of Law, Associate Professor of the Voronezh State University O.N. Shemeneva. The section “Tribune of a Young Scientist” is represented by an article by a representative of the Kazan School of Law, G. Burganova on the topic "The use of electronic documents as evidence in criminal and civil proceedings." In this article, the author attempts to analyze the theoretical and practical aspects of using electronic documents as evidence in criminal and civil proceedings. The author identifies the main issues of using electronic documents as evidence, which form three blocks: the normative description of the form and format of an electronic document in order to guarantee the uniqueness of its perception in various situations; use of an electronic document as evidence; distribution of responsibility between the participants of electronic exchange. Then follows the section “Judicial Power and Practice”, which is represented by the writings of the judge of the Arbitration Court of the Volga District, I.N. Smolensky, Chairman of the Eleventh Arbitration Court of Appeal N.P. Safayeva, Chairman of the Arbitration Court of the Udmurt Republic Ye.N. Serditova, individual studies of the Chairman of the Vladimir Regional Court A.The. Malyshkina and the judges of the Vladimir Regional Court P.A. Yakusheva, judges of the Arbitration Court of the Republic of Tatarstan A.Kh. 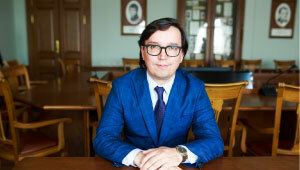 Khisamov, as well as the article of associate professor of the Kazan branch of the Russian State University of Justice F.G. Khasanshina, written in collaboration with the judge of the Arbitration Court of the Republic of Tatarstan I.A. Hassanshinim. In addition, this section contains a review of the V Jubilee Symposium, sponsored by representatives of the Kazan University GA. Valeeva, I.I. Korolev and N.N. Makolkin. - 65 years old to Professor Natalia Andreevna Gromoshina.